The £20m project, due for completion in late 2018, will see the design and construction of a new 77,000 sq ft laboratory facility for Newcastle City Council and forms part of the wider Newcastle Science Central development in the city. When complete in late 2018, the building will provide bespoke laboratory space, offering high quality, incubation space to meet the needs of innovative businesses in the life science and healthcare sector. Newcastle Science Central is a new urban quarter in the centre of Newcastle and will provide 500,000 sq ft of office space. The largest development of its kind in the UK, it will attract leading scientific and technology organisations to the area encompassing a variety of research and development, educational, business and residential uses. 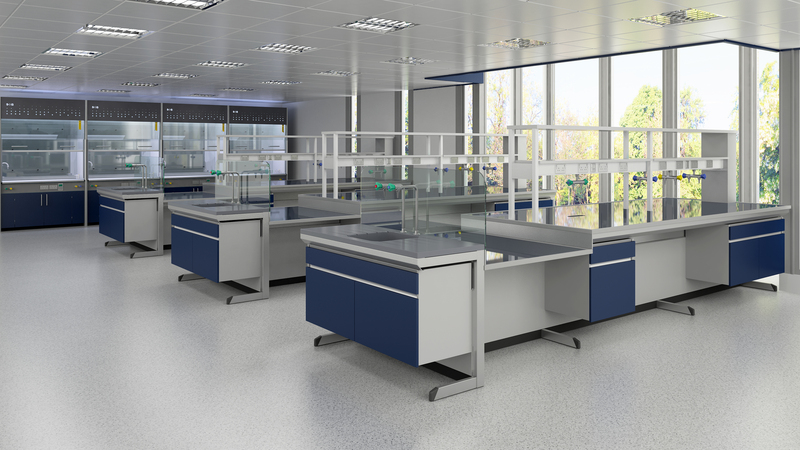 The client chose the S+B Exemplaire lab furniture system with Trespa Toplab Plus worktops for this 28 lab project not only for it’s high build quality and flexibility to meet the differing needs of different clients, but also for it’s professional styling in order to attract those clients to the campus. Architects are Ryder’s, QS is Turner and Townsend and the main contractor is Kier Cinstruction. Although S+B worked extensively with the architect and QS to develop the designs and specification, there was still a requirement to go through a rigorous tender process to secure the contract.